I think one of the coolest things about the Area 8 match is that (by my last count) there were at least 35 people shooting that have gotten Super-Tactical with us in our pistol classes. Thank you all so much for supporting us and trusting us with helping improve your pistol skills, and great job everyone for tearing it up out there! I am proud to announce that Super-Tactical.com will be holding our second competition pistol training class of 2016 on July 24th, from 10am-4pm, at New Holland Rifle and Pistol Club, in Gap, PA. The course will cover shooting techniques and strategies for competitive shooters. The instructors are USPSA Grandmaster/IDPA Master Matt Olinchak and USPSA Grandmaster/IDPA 5 gun Master AJ Stuart from Team SIG Sauer. Course requirements: Must be classified in USPSA or IDPA or have made prior arrangements with us to waive this requirement. Students will need 400+ rounds of ammunition, a competition appropriate and reliable pistol, a holster/belt/magazine pouch setup, lunch/snacks/hydration and appropriate weather gear. Cost is $175 and includes range fees/guest passes for students. Contact training@super-tactical.com for more information or to secure your slot. Super-Tactical would like to announce our new IDPA SO training program. Based on our years or competition shooting and professional experience with adult learning techniques and rapid knowledge acquisition in a "boot camp" type classroom situation, we are proud to announce a new safety officer training course that incorporates range and classroom time to produce the best trained SOs possible. Due to demand in the region and in response to the difficulty of the online exam, with many local safety officers either having trouble re-certifying, passing the safety officer test for the first time, or just wanting to increase their knowledge and skills, Super-Tactical.com has developed this rapid learning course. We will strive to teach SO techniques from the perspective of eliminating subjectivity in the rules and gamesmanship from the competitors wherever possible, while filling in the gaps that the official training courses leave. 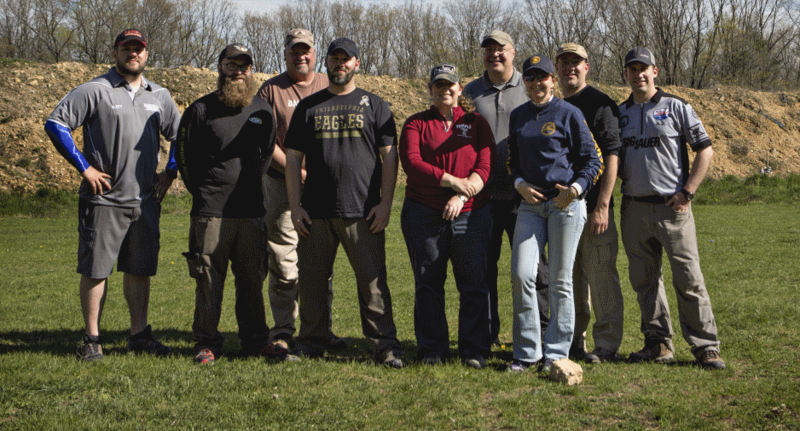 The course is limited to 25 students and will include 8 hours classroom time combined with 8 hours range time, to be held on May 7th at our private facility in the Philadelphia region. Course requirements: approved IDPA legal pistol, holster, belt and magazine pouches. IDPA approved vest. Official printed hard copy of current edition rulebook, 150 rounds of ammunition, IDPA Marksman or Sharpshooter classification. I am proud to announce that Super-Tactical.com will be again be holding competition pistol training classes in 2016, starting with Intermediate Competition Pistol on April 23rd, from 9am-4pm, at New Holland Rifle and Pistol Club, in Gap, PA. The course will cover shooting techniques and strategies for competitive shooters.The instructors are USPSA Grandmaster/IDPA Master Matt Olinchak and USPSA Grandmaster/IDPA 6 gun Master AJ Stuart from Team SIG Sauer.